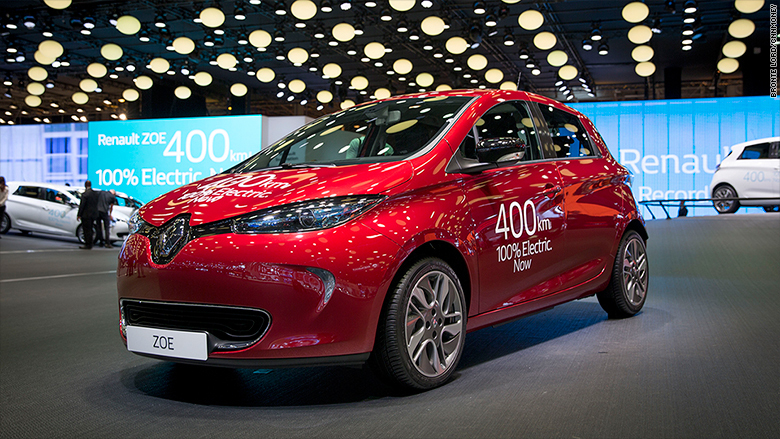 Electric cars are having a moment in Paris. Several automakers unveiled plug-in cars at this week's Paris Motor Show, some of which will hit the market very soon. Others won't be on the market for a few years, but still show manufacturers believe that EVs are on the cusp of becoming serious business. Volkswagen: The company unveiled a concept car called the I.D., which is expected to go on sale in 2020, VW projects that it will cost about as much as a nicely equipped Volkswagen Golf diesel, about $30,000. The I.D. is expected to have a driving range somewhere between 250 and 375 miles, according to VW. Renault: The French automaker debuted a redesigned version of its Zoe electric car that it says can go 300 kilometers, or about 186 miles, on a single charge. The redesigned version of Renault's Zoe electric car. That puts it in the same league as cars like the upcoming Chevrolet Bolt and Tesla's Model 3. Prices for the Zoe start at about $29,000, but the battery has to be leased separately. Opel: General Motor's European division, Opel, revealed the Ampera-e. This is essentially Opel's version of the Chevrolet Bolt -- an affordable plug-in car that can go 238 miles on a charge, according to the U.S. EPA. 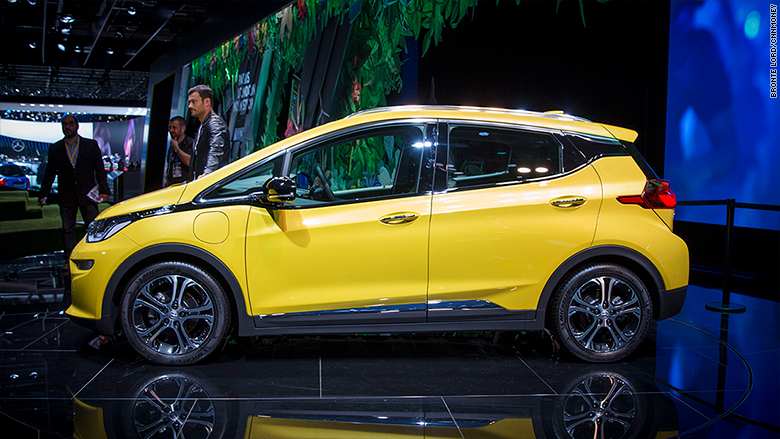 The Ampera-e will even be built in the same Michigan factory as the Bolt. The Ampera-e is expected to go into production next spring, but no pricing has been announced. The Opel Ampera-e is expected to go on sale in the Spring. 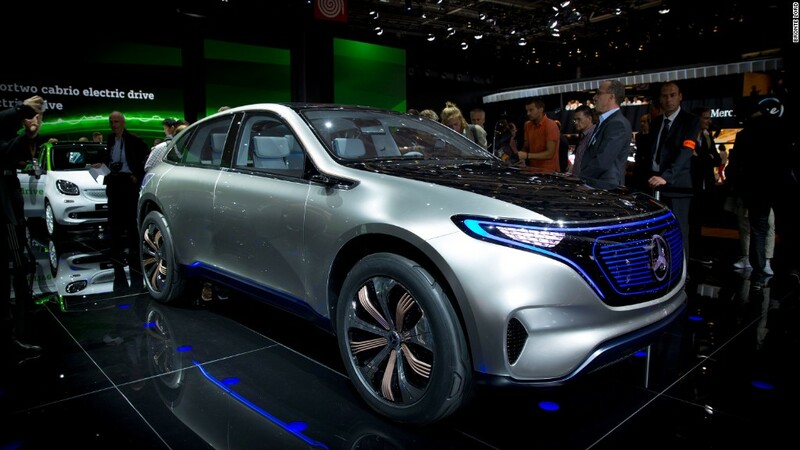 Mercedes-Benz: Mercedes-Benz's Generation EQ concept is a fully electric SUV that's probably years from actual production. But it will be built, according to Mercedes. In fact, it's the first in a whole new electric car sub-brand to be called Mercedes-EQ. 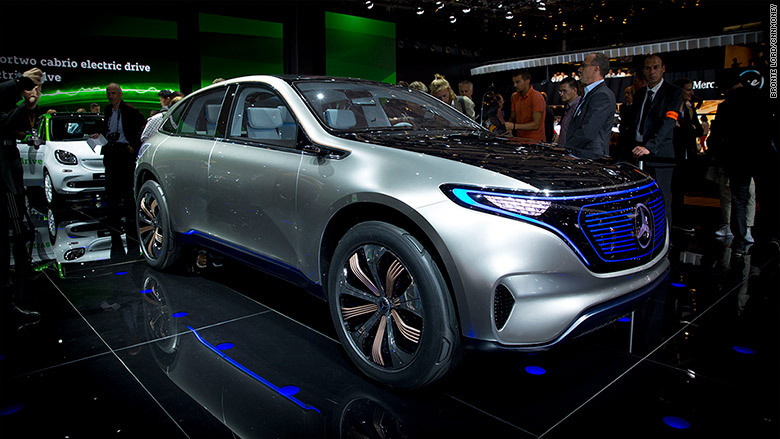 Mercedes executives won't say when the first Mercedes-EQ models will go on sale, but they did say that they expect electric vehicles to make up as much as 20% of Mercedes's worldwide sales by by 2025. The Mercedes Generation EQ is part of the automaker's new electric sub-brand. Smart: At the same press conference, Mercedes's corporate relative, Smart, revealed the new Smart ForTwo Electric Drive, which, it says, is the first electric car available as a convertible. The ForTwo ED will be available in the United States by the end of this year. A four-door model, the Smart ForFour Electric Drive, will also be available in Europe. 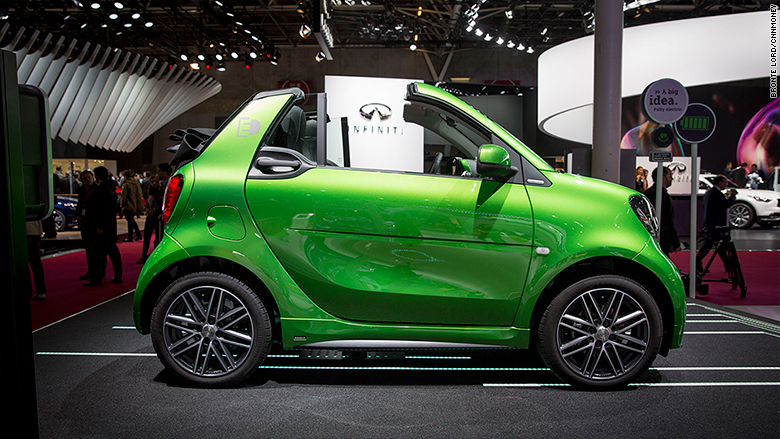 The Smart Fortwo Cabriolet Electric Drive is the only electric converitble on the market.